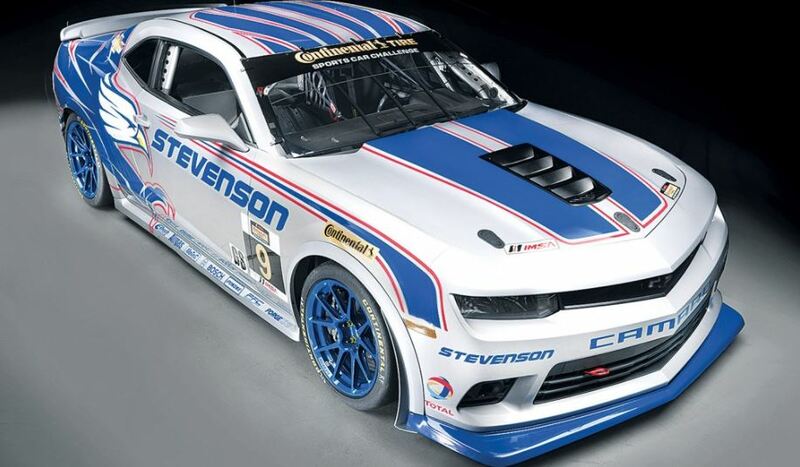 Chevrolet has recently launched the racing version of the 2014 Camaro Z/28, the Camaro Z/28.R, which will make its debut this weekend in the GS class of the IMSA Continental Tires SportsCar Challenge, the leading event for the Rolex 24 at Daytona. The 2014 Chevrolet Camaro Z/28.R will share the aero, engine and the axle components with its road fellow, going on a sale this spring for a price of $75,000. Since it shares the similarities of the Camaro Z/28, we might tell you that the two concepts were actually developed side by side. We are talking about a common rear spoiler, side sills, hood vents and wheel arch extensions. Both cars also share the race 7.0-liter LS7 V-8 engine, developing 505 horsepower and 470 pound-feet of torque. The same helical-gear limited-slip differential on the rear axle is applied on both versions. The 2014 Camaro Z/28.R will be launched with a campaign featured by Stevenson Motorsports and CKS Autosport, before competing against the top predators from Aston Martin Vantage, Ford Mustang, Nissan 370Z and Porsche 911. Tagged as:2014 Chevrolet Camaro Z/28.R Aston Martin Vantage Chevrolet Ford Mustang Nissan 370Z and Porsche 911.